As I promised in my previous post, here is Lisa's quilt. Doesn't it look gorgeous? 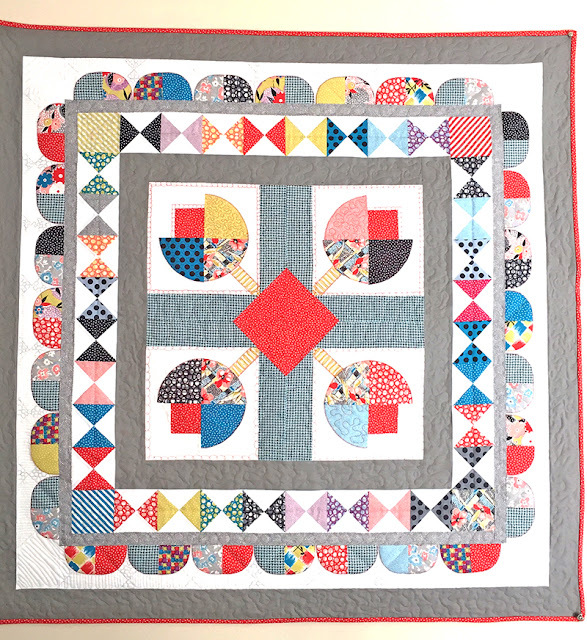 The pattern for her center block is called Flower Patch by Thimble Blossoms. Deb added the large gray border and the HSTs on point. I added the narrow gray border, the 1/4 circles plus the large gray border to wrap up the design. 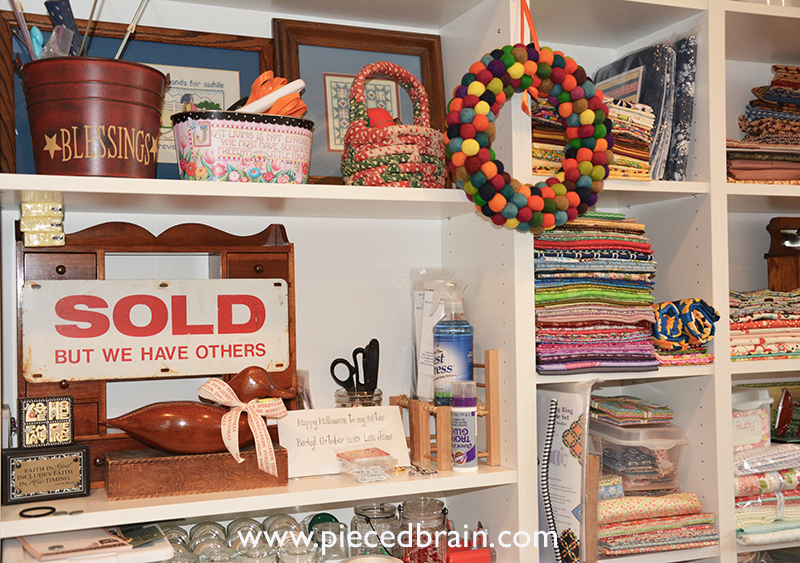 Lisa did a great job quilting it... and the result is a bright, fun round robin wall hanging. Round Robins can stretch us a bit and I love it. Have you ever been part of one? 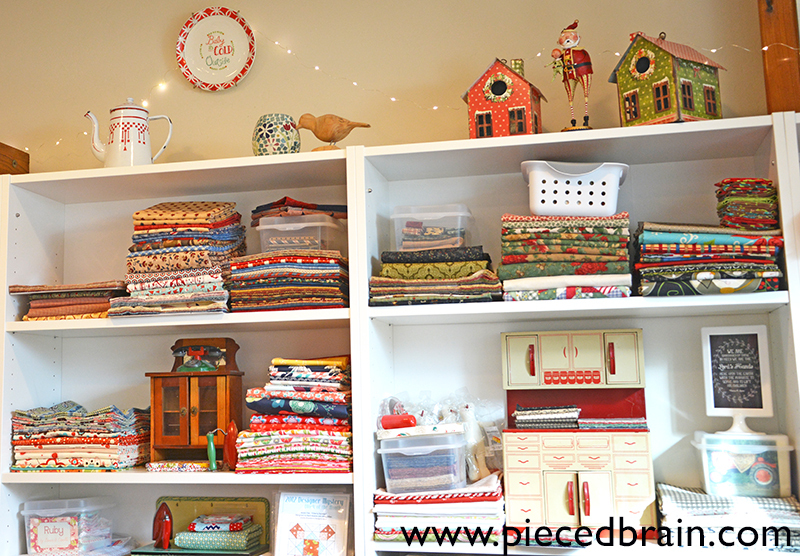 Her studio has a wall with white shelves for fabrics, notions, and her precious possessions. It is such a happy place! 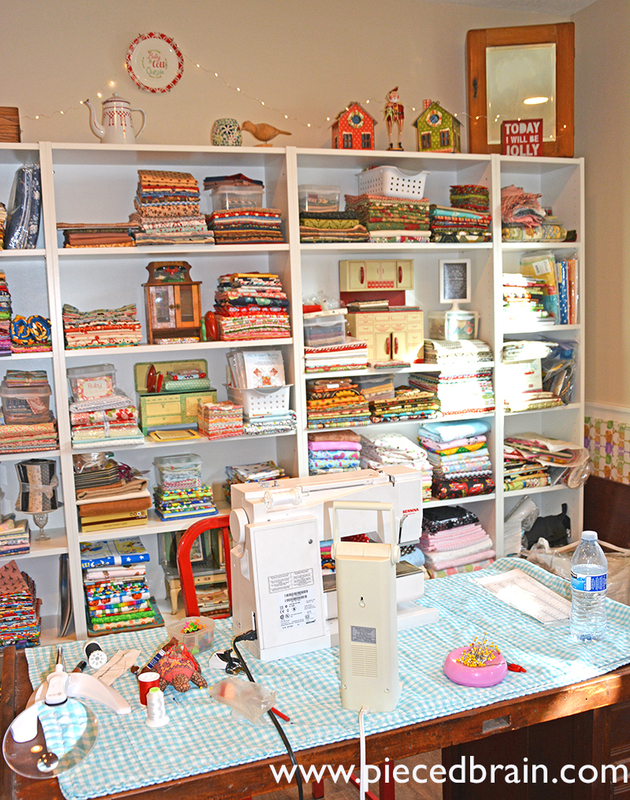 Except for this summer, we meet at her quilt studio once a month for a few hours of quilting and socializing. Aren't we lucky? Yes....you are lucky. It looks like a fun place to meet. 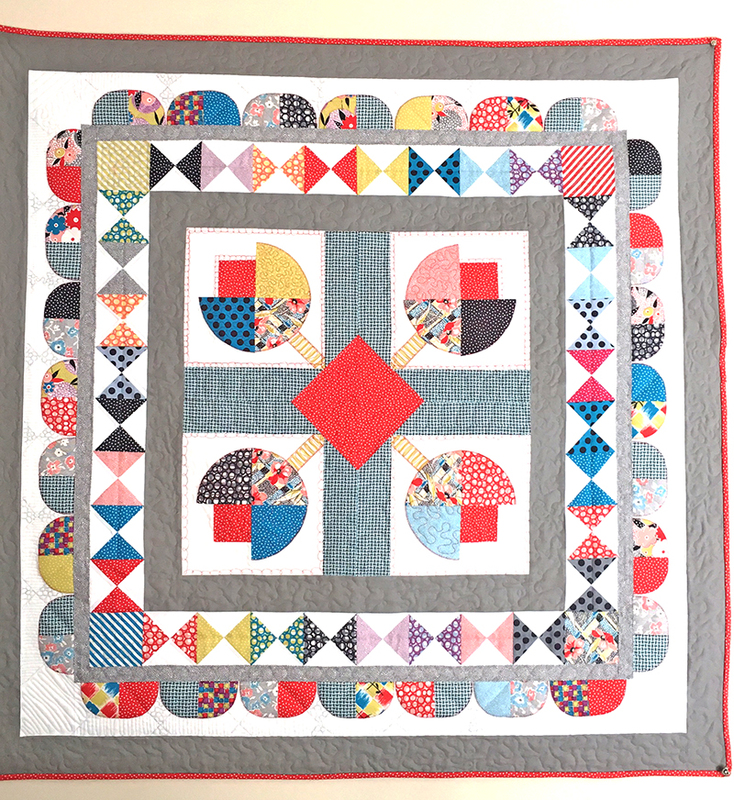 Great Round Robin quilt. Thanks! I can't wait for us to start our next round robin project! Lovely round robin. I have just finished the final round in a round robin. You can check it out on my blog.